Dominated by livestock ranches in the colonial era, the vast Laikipia Plateau has since been transformed into one of East Africa’s finest and most exclusive wildlife destinations. Indeed, this mosaic of several dozen private and community-owned sanctuaries, overseen by the non-profit Laikipia Wildlife Foundation, now operates as Kenya’s second-largest conservancy after Tsavo, comprising 9,500km2 in total. Ecologically, the plateau is transitional to the central highlands and northern deserts. As such, it provides an important stronghold for rarities such as Grevy’s zebra, black rhino and African wild dog. 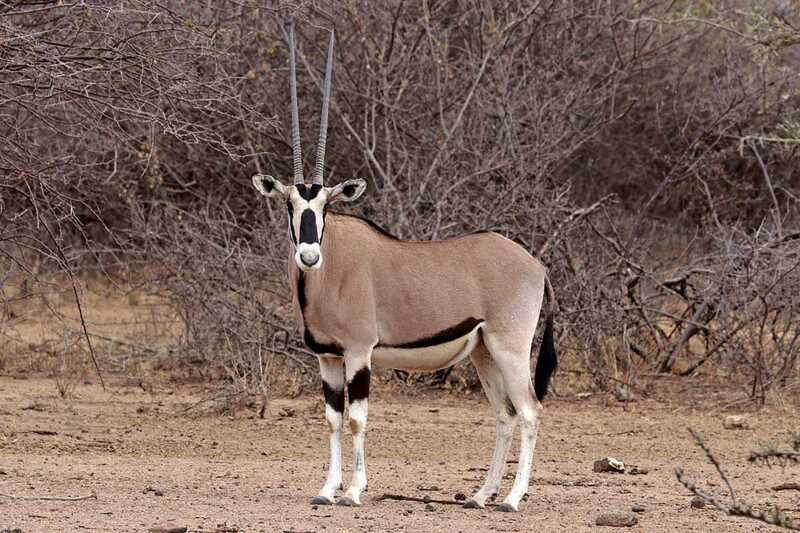 It also supports substantial numbers of lion, leopard and cheetah, along with dry-country specials such as reticulated giraffe, greater and lesser kudu, gerenuk and Beisa oryx. Although the plateau forms a cohesive and jointly-managed ecological entity, the individual ranches and conservancies lodges all operate as self-contained tourist destinations, and most offer an exclusive all-inclusive package similar to those associated to the famous private game reserves bordering South Africa’s Kruger National Park. Activities include expertly guided games drives and some conservancies also offer night drives, guided walks and horseback excursions. The 365km2 Ol Pejeta is the most accessible of the Laikipia conservancies and the only one that welcomes day visitors. It flanks the upper reaches of the Ewaso Nyiro River at the southern end of the plateau, only 25 km from Nanyuki. One of the most important rhino sanctuaries in East Africa, it also supports elephant, buffalo, lion, leopard, cheetah, reticulated giraffe, Jackson’s hartebeest, Beisa oryx, gerenuk and 500-plus bird species. In addition to guided drives and walks, activities include lion tracking with researchers and visits to traditional villages. Situated within Ol Pejeta, Sweetwaters Chimpanzee Sanctuary was established in 1993 to protect orphans formerly housed at the Jane Goodall Institute in Burundi. 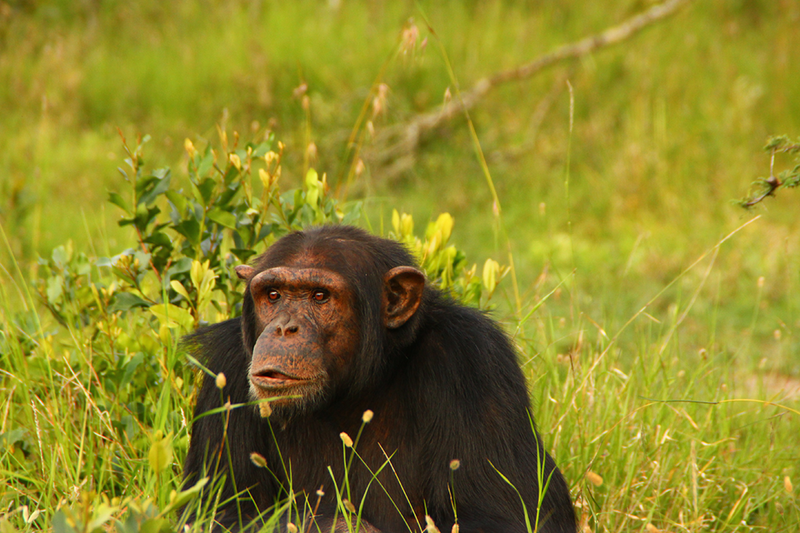 Since chimpanzees are not indigenous to Kenya, it is the only place in the country where these charismatic apes can be seen, ideally by taking a boat trip along the Ewaso Nyiro River, which runs through the riparian forest where they now live. A former cattle ranch reconstituted as a non-profit-making wildlife sanctuary in 1983, the 263km2 Lewa Wildlife Conservancy is one of the oldest reserves in Laikipia, and relatively accessible by car. It is a crucial stronghold for the Endangered Grevy’s zebra, supporting around 400 individuals. It also provides sanctuary to significant numbers of black and white rhino, and an easily seen population of the localised sitatunga antelope. Other wildlife includes elephant, lion, leopard, spotted hyena and a semi-resident pack of African wild dogs. Remote and pristine, Northern Laikipia is carved up into a patchwork of community and private conservancies fronting the spectacular Ewaso Nyiro Gorge. The bush here is thicker and scrubbier than it is in the south, and while the Big Five are all present, densities are quite low. As a result, lodges tend to focus more on walking safaris than on motorised game viewing, making it an ideal bush retreat at the end of a longer safari, and offering an opportunity to concentrate on smaller mammals and the exceptional birdlife. Maralal, the informal capital of the Samburu people and gateway town to remote Lake Turkana, is perched at an altitude of 1,965m on the northern edge of the Laikipia Plateau. Its annual Camel Derby, held over the second weekend in August, is popular both with residents and with foreign visitors. Private lodges in Laikipia mostly cater to the top end of the safari market, and their standard package is an all-inclusive package that covers transportation, meals, activities and in some cases drinks. Coming from Nairobi, or elsewhere for that matter, the normal procedure would be to catch a scheduled flight from Wilson Airport to Nanyuki Airport, from where Ol Pejeta and Lewa Wildlife Conservancy are both relatively accessible by road, but more remote lodges are usually reached by light aircraft charter.